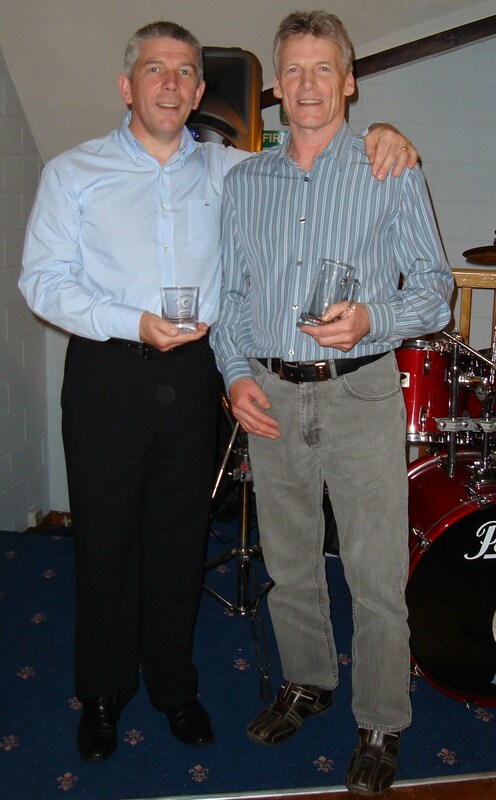 Last weekend saw the culmination of Dumfries Squash Club’s successful season with the Club Finals and annual awards evening at the Club. In the team events, sponsored by John Henderson & Sons, the convincing winners of Division 2 were Dumfries Cricket Club, led by their captain Chris McCutcheon, who will now be promoted to Division 1. Division 2 runners-up were Cisco Systems. The winners of Division 1 were So Below who were pushed all the way by runners-up Bard Vet. 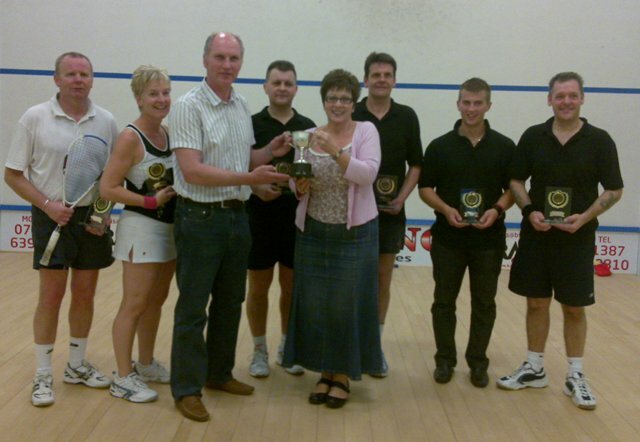 The Jim Thorburn Handicap competition is Dumfries Squash Club’s most popular tournament and attracted over 50 entries as its handicap system provides everyone with a chance to win the competition. After five rounds of prior games, the final was a close contest with Davy Rogerson emerging as the winner of the Jim Thorburn Handicap trophy defeating Iain Anderson 2-0 despite his handicap of 18 points. Iain, however, had his chances to win the second set and but for a few loose shots could have taken the final to a third set. The Ladies Club Championship was played in a round-robin format this year due to a lack of entries with Alice Thompson securing runner-up and Sue Strachan retaining her title as Ladies Champion for another year. The Club Championship was also well-supported with over 32 entries with first-round losers entering the Club Plate competition. In the Club Plate the final was contested by Raymond Kirk and Scot Radley. It seemed that the occasion, playing in front of a packed gallery, got more to Radley than Kirk with the latter winning in straights sets 3-0. The Club Championship final was contested between Les Harkness and Jimmy Wells. Seeking revenge for last year’s final defeat by Harkness, Wells took early control of the first set and won 9-2. In the second set, Wells again dominated and took it 9-4. The third set was more evenly-balanced, with Wells taking an early lead, only for Harkness to stage a strong recovery and lead 7-5. The set continued and remained deadlocked at 7-7 for four changes of service with Wells finally gaining an 8-7 lead. Following another two service changes each, Wells served again at match-point securing it this time for his 14th Club Championship victory. 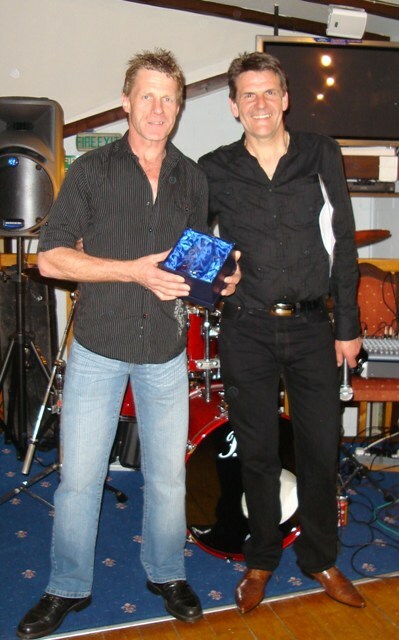 The John Henderson & Sons Dumfries and Galloway Leagues Player of the Year in Division 2 was a close-run contest with the winner being announced as Scot Radley. 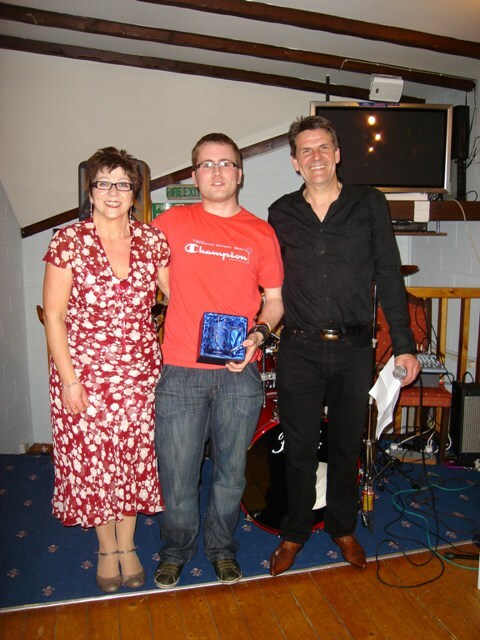 Scot is a relative newcomer to team squash and his selection was supported by his performances in the team leagues, the internal leagues and as runner-up in the Club Plate competition. The Division 1 Player of the Year was unanimous and announced as Jimmy Wells. Jimmy had a tremendous season winning the Dumfries and Galloway Closed, the Club Championship, remained unbeaten all season in his team league games and topped the Scottish Masters Over 45s rankings once again. The Dumfries Squash Club Committee’s award for Most Improved Player was also a close contest with 4 or 5 players being considered. 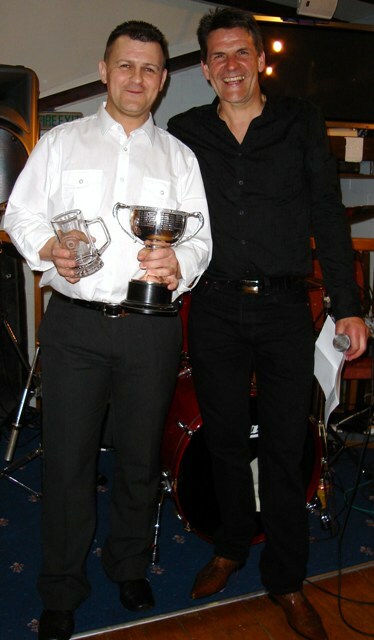 Having shown the most significant improvement during the past year the trophy was awarded to Chris McCutcheon. The Bard Vet Cup semi-finals were played on the Thursday evening with the Final held on Saturday afternoon. In the first semi-final Kings Arms from the 2nd Division, which provided them a plus three-point handicap float, faced Stewartry CSC. The Kings Arms team proved too strong for Stewartry and ended up convincing winner 12-3. In the second semi-final, So Below faced Bard Vet who were seeking revenge for finishing runners-up to So Below in Division 1. The first two matches were split, and So Below took the remaining three matches to settle the tie 10-5. The final thus placed So Below against Kings Arms, with the latter again benefiting from a plus three-point handicap float. The first two matches were split while the next two matches both went in So Below’s favour 2-1. This set the stage for the final deciding match between Jimmy Wells and Davy Lindsay with Lindsay needing a whitewash to secure victory for Kings Arms. Lindsay took the first set but in a close second set, Wells emerged the winner thus gaining the necessary game point to secure overall victory. He also added the third set, which left the final score 9-6 to So Below who had thus secured the “Double” of League and Cup.